Alabama Power has unveiled an innovative power system to power Alabama’s first “smart neighborhood”. The company has unveiled its innovative microgrid in the town of Ross Bridge, Alabama, which can power the entire 62 homes in the neighborhood. The company is dubbing it the first microgrid in the southeast United States capable of supporting an entire community. The microgrid has three main components, the first is a 3 acre solar panel field, able of producing 600 000 kilowats of power annually, the second is a lithion battery bank, and the third is a natural gas driven generator. The mirogrid alternates between different sources of power, at times using two and sometimes three. It is capable of producing 1 megatons of power if all on-site power sources are being used. “At times, the entire neighborhood has been powered solely by the battery bank or solely by the natural gas-powered generator, but not yet solely by the solar panels”, Leverette said. The homes of Ross Bridge themselves are 35% more energy efficient than standard Alabam homes, and contain energy efficient construction features including thicker walls with more insulation, triple pane windows, and a radiant barrier roof. Representatives from the U.S. Department of Energy visited the site and were impressed by what they believe is a model for future sustainable energy solutions. They supported further research into the microgrid. The U.S. Chamber of Commerce stated that the Ross Bridge microgrid would feature in its Global Energy Institute’s innovation campaign, which highlights the nation’s most innovative technological developments. Alabama Power plans to gather data about the microgrid and power usage to provide insight about the functioning of future sustainable cities. “We know that this neighborhood represents a great leap forward in serving our customers and providing energy in ways to improve people’s lives like we’ve never done before,” Alabama Power’s senior vice president John Hudson optimistically said in an interview. 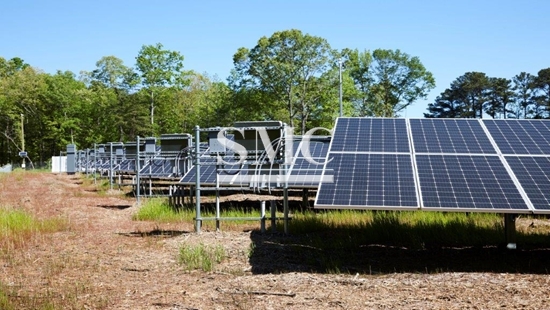 At SMC, we offer the most modern electrical equipment and systems including electrical cable, solar panel systems, power distributors, transformers, and automation. All of our products come packaged with clear labels and the product I.D., as well as according to your specific needs. For more information including specifications and price, please click here.